Advertising adapts, shouldn't our learning? The theory behind is great, but perhaps it isn't well implemented yet. I wrote a piece for the New York Times a while back on Adaptive Testing. This piece in the MIT technology review is worth a read. "By carefully logging students’ every action online, a company called Knewton says, it can personalize questions and lessons to help people learn faster. Skeptics say that’s not proven." I love and use Evernote - with all of the apps that add into it, it is very useful. I do also know that many schools love Microsoft One Note -one of the best academic offerings of the company. Here's a website about Evernote for Schools with resources for you. Either way, schools moving to 1:1 initiatives need to upgrade their school's notebook to allow for group notetaking and simple sharing as afforded by both of these programs. Fascinating read about current cognitive research and lesson plans and information on education reform in the UK, which is being driven largely by the mentioned book in this quote. If you want to look at the research being discussed in the UK, I'd start with this article. "In Why Don’t Students Like School, Willingham says that ‘the most general and useful idea that cognitive psychology can offer teachers’ is to ‘review each lesson plan in terms of what the student is likely to think about’. I could not agree more. Last year I applied this idea to every single lesson I taught, and I apply it now to all the resources I design. It may sound obvious but it was not something I did before I read Willingham, and it absolutely was not something that my teacher training taught me to think about. Students are more likely to remember something they’ve had to think about – or, in another of Willingham’s phrases, memory is the residue of thought. So we need to make sure that students are thinking about the right thing for the whole lesson. That way there is a better chance they will remember it. This approach also eliminates dull rote-learning. If pupils are always thinking about the right thing and thinking about its meaning, then they are more likely to remember it, and to remember it meaningfully." The Kobo is a new ebook reader on the block by indie book sellers and other small chain stores (I read this weekend that Family Christian Bookstores are going to be selling the device.) The shift to ebooks is going to happen everywhere - my husband and I were wondering just yesterday how long Lifeway is going to publish paper Sunday School books -- it makes more sense to release as a PDF, but then, you're looking at a significant mark up and a whole new model which I think many companies who sell such subscriptions (i.e. weekly reader, local newspapers selling smaller versions for students) aren't ready for. I found this interview of Chris Anderson an interesting read about the history of TED. It is hard to believe they started with just 6 videos in 2006. The flops, he acknowledges, are those who are full of ego - and I'd agree. I saw a TEDx where at least half were so full of the fact they were on stage, it made listening to the speeches a bit difficult. So, then, I guess humility would be part of a giving a good talk and I, as a rank and file teacher, find that refreshing. Another option for organizing classes and sharing your syllabus and work. There are a lot of options out there. It is important for schools to plan how work will lbe disseminated and students will connect. Bricks and CLICKS are important decisons for schools to make - where will students meet face to face and online. It is time to be discussing this now - particularly for middle and high school. "Schedule Teachers.io helps you organize your class schedule, so you know what's coming up next.Your class information can easily be copied between sections and semesters too." An app that some students are using to organize homework. It is worth a look. This craft gives you information on how to make a poinsettia, a craft some of you teachers may enjoy in December. This website lists popular apps for kids and I find interesting apps on the list. Several I've heard teachers mention include Brainpop and Hungry Fish math. Whether you love or hate them, the sheer volume of their repository and the fact that some videos are useful has them in the limelight -- Bill Gates, their primary benefactor, also pushes them there, even though many of their videos have come under fire. This is an app to test and note. "Non-profit Khan Academy, an organization dedicated to “providing a free world-class education for anyone anywhere,” does so primarily through online video courses and lectures. The over 3600 videos are free and access is open to anyone (anywhere), allowing K-12 students to study math, science, computer science, finance & economics, humanities, and test prep. The organization was founded in 2006 by MIT and Harvard grad Salman Khan, who began by tutoring relatives and friends in Bangladesh while he worked as a hedge fund analyst in the States. His videos became so in-demand that he decided to quit his job and distribute them full-time, funded by donations from individuals and major donors like the Bill and Melinda Gates Foundation." Seth Godin writes, "Today, an internet video or an investment philosophy or a political moment might last for weeks or even a few days. It's not unusual for a movie or a book or even a TV series to come and go before most people notice it. Neophilia has fundamentally changed the culture." This "neophilia" or craving for new things is a ping pong game that never ends. The fact in education is that there are strategies that have worked for a long time that we can use in the classroom. Not everything has to be new -- all the time -- my classroom has been doing the Flat Classroom project every year once a year for the last 5 years since Julie Lindsay and I first invented it. Sure, we've added new things and elements like a Diigo bookmarking group -- we're always trying to improve it -- but you don't have to always have all new things all the time. Neither can we have a static classroom of "filing cabinet" lesson plans. I once heard a veteran teacher say "may it never be said that I taught the same year 30 times, but instead that I taught for 30 years - always reinventing and improving." We must reinvent and improve. I find myself tired and exhausted of the addiction to new -- and now there is a name I can use for this -- "neophilia." 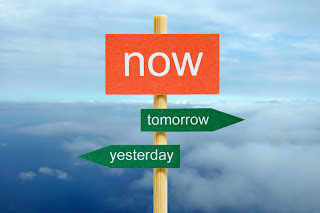 The question about anything new is "does it improve upon what we already know to be true" and also, in the case of services and apps - I ALWAYS ask myself now, "does it have a sustainable business model" -- if not -- it won't be here in 5 years. This is part of why we had to start charging for Flat Classroom because we HAD to start hiring some people to run projects and set up structures so that it can continue -- to expect everyone to devote hours a week to keep something running for free isn't sustainable because people have to pay their bills. It is time that Web 2 grew up to be "Web Do" -- what does it do? Will it continue to do and improve? Instead, some people are just stuck in "Web New." While new and novel can keep us interested, it should never be everything. "Make new friends but keep the old, one is silver, the other's gold." -- I use this in my keynote "12 Habits of the Top 21st century teacher" -- talking about new technologies -- keep what works and improve what doesn't. Let's move from Web 2 to "Web Do" and avoid getting so addicted to "Web New" that we throw out what works. Relationships are vital. Principals need them, especially with their teachers. It keeps coming back to leadership! Good principals have good relationships with their teachers. Also, the perception of how well the school principal works with the teaching staff as a whole. "Why do so many beginning teachers quit the profession or change schools? Surprising new research finds it’s not a heavy workload or lack of resources that has the most significant effect, but instead the relationship between teachers and their principal." If you use Evernote on the ipad, these instructions for installing the Evernote clipper into your bookmark bar works very well. I use evernote quite extensively now and find it very helpful. You can also install it on your iphone as well. From my friend Kyle Dunbar - if you want to join in - sign up on her blog. 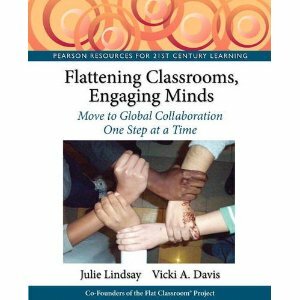 "I am giddy with excitement about the opportunity to host a Virtual Book Club discussing the fantastic book Flattening Classrooms, Engaging Minds: Move to Global Collaboration One Step at a Time by Julie Lindsay and Vicki A. Davis. The book club was announced last Sunday night in my school division and I am thrilled that we already have thirteen teachers signed up! Even better, we have teachers from across our school division and from all different grade levels. It is a wonderful thing when already busy teachers find time in their lives to discuss powerful educational ideas with their peers. Now, I am ready to get some global participation in this book club. I can't think of a better way to brainstorm about global projects than to have teachers from across the globe in the session together. So, we are inviting all teachers, parents, students, thinkers and learners out there to join us for six live meetings to share what they think about the projects, resources, and research discussed in Flattening Classrooms, Engaging Minds. We will be meeting on Mondays at 7:30pm EST on the following dates: January 7th January 21st February 4th February 18th March 4th March 18th (find the time in your area here) Meetings will be live using Blackboard Collaborate and will last one hour. We will spend the time sharing thoughts about ideas raised in the book. It will also be a great opportunity to connect with other educators that share similar passions and beliefs about flattening our classrooms walls. We will share strategies and resources for building those 21st century skills like collaboration, communication and creativity in authentic ways. Flat Classroom project applications are open now for next semester. If you want to see a summary of all projects you can go to http://www.flatclassroomproject.net or click on the green title of any of the projects below. The red application "apply now" will take you to the application and information for each project. There are many options to collaborate globally and these are just one. We worked hard in our book Flattening Classrooms, Engaging Minds to help demonstrate and share many projects that can help you meet your standards as you collaborate globally. Our purpose is to be the best global education projects where students and teachers co-create and merge their classrooms in ways that utilize cutting edge technologies and encourage teacherpreneurship and teaching excellence. You can find out more about the projects in the book Flattening Classrooms, Engaging Minds or through the links below. Flat Classroom® Projects starting February 2013. Flat Classroom Project - (13+ but ideal for high school students) Deadline for next project is January 23, 2013 APPLY NOW! 'A Week in the Life...' - (up to age 12 - learn about other places from students who live there) Deadline for next project is February 15, 2013 APPLY NOW! NetGenEd - (13+ but ideal for high school) Project based on the Horizon Report published in January each year - Deadline February 1, 2013 - APPLY NOW! K-2 'Building Bridges to Tomorrow' Project - (kindergarten - 2nd grade -- ages 3-8 - learn about other places from students who live there) Deadline for next project is February 15, 2013 - APPLY NOW! You have until NOvember 26 to nominate for the Edublog awards. There are many who don't care for this awards system because there are many great bloggers, but I think anything that recognizes educational blogging is a good thing. So, nominate away, here is information. Here's the page that tells you how to do this. 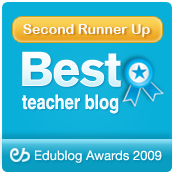 "The 2012 Edublog Awards are a go! The Edublog Awards is a community based initiative started in 2004 in response to community concerns relating to how schools, districts and educational institutions were blocking access of learner and teacher blog sites for educational purposes. The purpose of the Edublog awards is promote and demonstrate the educational values of these social media. Working together, we create an invaluable resource of the best-of-the-best on the web! How Does It Work? There are 3 parts to the awards: Nominations – NOW through November 26th Voting – TBA The Live Awards Ceremony – TBA"
Julie Lindsay and Think Global School and Flat Classroom have partnered to create the World Wide Think Tank and organization for students to brainstorm and take action on common issues. If you want to join - here is their wiki. The "Youtube" keynote is a hinge of our projects - we have renegades and innovators from around the world share a challenge and thoughts for students and teachers as part of each project. Chris Betcher does something FASCINATING - he reaches back to his first global collaborative projects 10 years a go and has found the students from that project and shares what they are doing now. I'm going to do the same in about 4 years with my first Flat Classroom students. It is tremendous how the students had a head start in the world by collaborating globally. These would make great films for preservice teachers and your classroom. I highly recommend viewing this video. Why do we incorporate global collaboration into our classrooms? "Australia/Sydney-based award winning educator, Chris Betcher, talks about the long-term advantages for students of connecting and collaborating globally. He includes footage from his students today who worked on global projects over 10 years ago and the impact this had on their lives and future careers. This keynote was produced for the Flat Classroom Project 12-2, November 2012. http://fcp12-2.flatclassroomproject.org/Keynote Chris Betcher: http://www.chrisbetcher.com http://twitter.com/betchaboy"
You may be walking wounded, but Teacher, stay in the game! We are all walking wounded. We all have things that have hurt is in life: personal or professional situations that have left us limping. While it would be nice to go into the struggles of our lives with muscles rippling like a well-oiled Apollo or Athena in all the grandeur of a fresh rest on Olympus and a brief appearance to do battle among humankind -- that isn't what happens in life. Far from appearing like ancient gods, we all have our flaws. Chinks in our armor...holes in our thesis, a wilt in our leaves-- whatever your analogy, if you're reading this with breath in your nostrils - you and me are both mortal and imperfect. As I worried about his unknown injury -- as his Mom, I knew he was hurting badly -- I thought to myself. "What is the alternative? Who is going to take his spot? The boys on the sidelines have their own issues- some have inexperience and others can't go in from prior injuries. Honestly, they are all walking wounded and someone has to play and take care of this game. He's telling himself -- this is the game I was born to play and I'm going to leave it all on the field." Then it hit me. That's me and that's you. Teaching and parenting are tough -- they aren't sports, they are very real, important life -consuming callings. Whether you're dealing with screaming fussy tots, the elementary kids taking naps on cots, the middle school "I'm nots" or the high school big shots -- it is enough to leave you wounded, frayed, and exhausted. By now, if you're reading this on a Saturday, you're probably "over the top" tired like me. You're the walking wounded. It is so easy to wish to be taken out of the game. When I'm exhausted and have what feels like a thousand kids in my room, I ask myself, probably like you, how much longer can I play in this game? How am I going to have the fortitude to make it? But what happens when you're smack dab in the middle of the game, hurt? What happens when it is the middle of the school year and you're so tired from coaching a sport or a drama team or getting ready for prom,or managing another sale -- on top of your regular teaching duties-- that you don't know if you can see straight? What happens when you've got a crisis or two on the home front and you wake up tired every day wondering how you're going to make it? What do you do when you're wounded and all that is in you wants to come out? Well... you rest for the brief moments you have...and then, you realize, like my son, like me-- that this is the job you were born to do. This is your moment. Do what you were called to do. Live a life full of purpose -- because, I guarantee you, you may not know it, but your students are wounded too. Teaching isn't all neat and tidy like it looks on the films. I've had 3 film crews in my classroom and none of them really captured IT. It is a wild and crazy place. I'm pushing kids to do more...sometimes some of them who have been told what to do all their lives and just want me to do it for them (these kids tend to like being an automaton mindlessly completing worksheets)...they actually cry or try to shut down on me. I have to take everything I have to reach within and help bring them back to a place where they can think on their own and solve problems. Sometimes the light bulb goes on and they jump out of their seats and say "I'm so excited, I feel good about myself because I did that" (it happened just yesterday) or they stay in their seats when the bell rings spellbound by something we're discussing and not wanting to leave. But this is our fight -- our game, if you will. This is our moment. There is no such thing as a rested teacher. There is no such thing as a teacher without wounds. We are the walking wounded. There are a lot of coaches on the sidelines and lots of edu-casters telling us how to play this game - but we are the ones on the field. We are the ones in the fray - doing this job every day. Lots of gray haired men sit around in coffee shops scratching their beards saying what educators today need to do -- and lots of newspaper writers do too. But many of those very same people who second guess both sports and the classroom wouldn't be able to take one minute in either place. Talking about the game should never be mistaken for actually having played it. You can and you do every single day. You live this job and you do this job! You're in it -- and so am I. I don't want to be any where else in this world but right in this classroom with my students. I'm completely and utterly crazy about them and my subject. I'm also sometimes completely and utterly driven crazy by them and struggle to adequately cover my subject. Things worth doing are hard but this is worth doing and worth doing well. I don't know why it was such an epiphany for me to realize that we're all walking wounded. I guess I've just been hoping that somehow I'd feel my heart heal up and know that I'm rested so I can unleash all that energy on my students. But daily, right now, I just pray for strength to meet THIS day - to make another play -- one play at a time. Because too short, this game will be over, I'll be a senior, and the season will be done. Like a kid looking into the stadium lights at midfield on his last regular season game and feeling every breeze and hearing every yell from the stands, I want to relish this craziness - because when it is over, it is over. 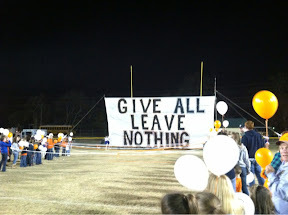 One of the mottos of our team, besides the Phillipians 4:13 that the boys wear on the black under their eyes -- is "give it all and leave nothing on the field." 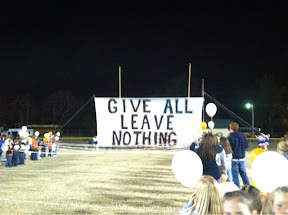 I intentionally put this sign from last week's game in this post because that is what we must do. As we feel ourselves being poured out -- the day I retire, I want to know beyond a shadow of a doubt - like my son can after last night's game -- that I gave all I had to my students and left it all in the classroom. I do want to have a life after school - but this is important and I want to give all I have to my students. Here's to you, my friends, my colleagues, my heroes. You are the ones - not on the sidelines - but IN thiS every day. You educators are my intended audience and my unending heroes. You know exactly what I'm feeling and saying. Kind of like those who talk about having a baby and those who've actually done it -- the real thing -- life in the trenches -- it is the only way to really understand how tough and rewarding teaching can be. Keep at it. It is work worth doing. It would be nice if all the kids were nice and the parents were nice and the workload was manageable but that isn't the reality of teaching - it never has been and never will be. We don't work in a factory or a short order kitchen -- what we do takes time and gives us very little feedback - so I'm your personal feedback today. KEEP IT UP. KEEP GOING. YOUR WORK IS VERY IMPORTANT. YOU ARE VERY IMPORTANT. BE STRONG. Rest and remember and get ready to go back in on Monday. STAY IN THE GAME -- but teaching isn't a game -- it is real life and you're vitally important to a generation struggling to make meaning and nations struggling to buoy in tough times. The responsibility to help guide a new generation of global leaders is our goal and it is our time to make the play. This isn't a play... it is our day and our time to make a difference. You matter, very much. More than you know. So, don't go - stay in the game -- get some rest and do your best. That is enough. You are enough. You're more than enough - YOU ARE VITAL. A comparison of tablet devices and mobile devices by Miguel Guhlin. As you evaluate alternatives for your school or personally (for Christmas) you should take the time to review this chart. Share it, Miguel has done a great job. Doug Johnson pontificates on the fact that now that the Google nexus and other droid-based tablets are becoming so much better, that it will be hard to let everyone know they need to swap so they can save money. I'm testing a Droid based tablet from Kenna and must say that although it isn't an ipad, for a fraction of the cost, it is quite impressive. It has slots for sd cards, better sound, and a high res screen. My fifth grader has quite taken to the tablet, although my senior has "first dibs" after Mom finishes testing it. Don't think Apple owns this market. The shift of all students to some sort of tablet with an attachable keyboard just makes sense from a power usage and portability standpoint but the field is wide open. At some point, I hope to test a new Windows 8 tablet. An excellent guide with links to blackboard rooms in the guide. Download and use this as you jump from room to room and learn at the Global Ed conference. Barbara Morganfield is hosting this important conversation - it is time to begin connecting our preservice teachers at the college level. 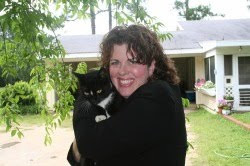 "Through Julie Lindsay and Vicki Davis’ Flat Classroom Projects (2013), many K-12 educators throughout the world are flattening classroom walls and providing extraordinary opportunities for students to connect, collaborate and learn from others around the globe. Through these projects, students use Web 2.0 technologies and incorporate 21st Century Skills, cultivating a rich understanding of culture and developing global awareness. This session aims to identify ways similar projects can be incorporated in college and university teacher education programs giving future teachers opportunities to develop the skills they will eventually be expected to teach. This session intends to examine the questions: What opportunities are available for teacher educators to flatten their classroom walls? How can teacher education faculty collaborate to develop global collaborative projects for their students? Can existing Flat Classrooms projects be redesigned to meet the needs of our future teachers? How? What are the challenges in developing global collaborative programs for teacher education students? What are the constraints that must be considered? What are the benefits? What are next steps? Join this session and participate in a lively discussion focusing on flattening classroom walls in teacher education. " Learn to find hashtags for your field. Here are many of them for enviornmental issues. "Top Eco-Inspired Hashtags Click each hashtag for their corresponding definitions on our Dictionary. #4change #aid #bp #cleantech #climate (#climatechange or #climateaction) #CSR #earthtweet #eco #EcoMonday – Dubbed as the #FollowFriday of environmentalism #energy (#cleanenergy) #environment (#econews) #foodjustice #gmo #green #greenbiz #greenjobs #organic #permaculture #plastic #recycle #renewablenergy #solar #sustainable #upcycling #urbanag #WaterWednesday #windenergy"
"The U.S. Environmental Protection Agency (EPA) is encouraging individuals and community groups in New York City to apply for grants that will allow citizen scientists to collect information on air and water pollution in their communities and seek solutions to environmental and public health problems. The EPA will award a total of $125,000 for five to 10 New York City projects related to air or water pollution." Some incredible citizen science projects that make a difference when there are natural disasters. Scientific American has been cataloging a lot of great projects including Volunteer Field Observer Programs for the spill in the Gulf, a Redwood Watch program to monitor redwoods, and earthquake monitoring and more. This page includes energy and sustainability project. I think every science class should have citizen science as part of their curriculum to add meaning and improve our world. Sci Starter is a fantastic website to find citizen science projects. Don't let anyone despise you - fulfill your PURPOSE! It is so easy to get caught up in the vision of what you have going that you have tunnel vision. You see it, you've got it. Then... WHAM! Out of the blue, someone lights into you. It is their job to personally correct you and deflate that overblown tire of yours... or is it? The Christian group Newsong has an old song "The Coldwater Committee." Lest you think they don't exist... they do. Someone saw it to be their personal job to correct me on something last week... not at work, but something relating to this blog. I was "out of line" in their opinion and they were going to "set me straight." I'm out of line a lot. You probably are too. None of us are perfect. However, I let this one, anonymous stranger get to me. I let it call into question everything I've worked for since December 2005 when I started this blog. Why? Some people will never be happy. It took a teetering, somewhat hard to understand, preacher from the Sudan in my church today to straighten me out. Here is a man who sees the worst in people. He smells the stench of death and the repugnance of those who kill each other because they are a different religion. He has lived through things I cannot understand. He drives a motorcycle as a mobile messenger through With Open Eyes and is called to minister in a very hard place. He says that people make fun of his "motorbike" and say "why don't you have a car" but, quoting Paul in Timothy - he said, "do not let anyone despise you" when you are fulfilling your purpose on this earth. Whatever your mission or purpose. If it is your CALLING it is YOUR CALLING. If you're sure of your purpose and what you're called to do -- don't let anyone deter you from that CALLING. While I'm totally sure I'm not perfect, I'm also sure that I'm called to write this blog. So, I'm going to take this advice and not let anyone despise me. I'll learn from criticism but also know that the decision to try to please everyone else is a decision to fail. It isn't possible and never will be. The fact that you're breathing has someone upset -- the same with me. Remember your noble calling, teacher. Do your best. And don't let ANYONE despise you. Now, on to work. Have a great day! Global Education Conference starts Monday - get in there and start putting these on your schedule. Some great sessions. I'm only doing one this year on Monday night at 10pm where Julie and I will share the most important stories from Flat Classroom projects around the world centering around 4 aspects: the Handshake, Creative Co-Creation, Celebration, and creative "flattening" (including other types of people besides students in projects.) There are a lot of incredible sessions, so join in! "Our free, online conference starts Monday, November 12 and runs around the clock for five days. No registration is required but we do encourage you to join this network for email updates and to connect with presenters and participants. To see the conference schedule, or to attend a session or keynote, click HERE for the "Sessions and Schedule" page and follow the instructions to choose the page for your time zone. Information on using the conference software platform, Blackboard Collaborate, is also on this page. To comment on sessions or connect with the presenter or other attendees, see the discussion forum posts under GEC Accepted Proposals. If you have questions, please post them in the chat room (this shows up at the bottom of your page if you are registered and logged in) and people may respond if they are online at the time. Better yet, you can also post questions in our discussion forum." E-Learning Journeys: How to attend the Global Education Conference! My friend Julie has written a great blog post on how to attend the Gloal Education Conference. You'll want to use this as a reference. Why not kickstart school and nonprofit building projects? A "Peace and Quite Booth" in Times square"
A New York public pool gets a new Splash House when grad students from Parsons decided they wanted to build it. OK, let's take your mind and blow it with this one here. Two people wanted to create a special feature in a park, so they didn't take the typical route and propose to city leaders, etc. They created a Kickstarter campaign. Of course, you still have to get approval for things, but often it comes down to money, doesn't it? No one wants to be on the hook to raise more money for a dog of a project that the public doesn't support. Lowline Project underground park project in Manhattan. Now, imagine this - what if you had several potential projects at your school. You really needed some classroom space as well as a sports facility. Which do you build? Well, why not kickstarter them? Raise the money using kickstarter or some sort of kickstarter-type program to see where the most support is. The school can match the project to raise the first X amount and it is done! I think this sort of thing can transform so many things we do and it is right here in front of us. We should start using kickstarter principles in our schools or to add the enhancements that so many people need. The nice thing about kickstarter, is that different levels of support include t-shirts and other goodies, so it helps you design the campaign as part of the process - these are things that we should do anyway, but often don't. Oh, and if any of you are already doing this, or know of schools who are, please leave a message in the comments, I'd like to know more about successful school fundraising projects using this model and I think others would too. Awesome class handshakes for A week in the life elementary project using Symbaloo. Great work! The project managers for this are Michelle McGarvey and Toni Barton. Awesome! I'm fascinated to look at this company, Silverchair, which is touted as one of the fastest growing companies in the world. They are doing things to transform scholarly publishing in a way that is sensitive to the user. I want to learn more about them, but for now, thought I'd mention their name as I'm reading up on the evolution of publishing. "Silverchair Information Systems develops products by partnering with scholarly publishers to transform content for a more valuable user experience on all devices. These products are then supported by a natively semantic platform and dedication to service we have worked to perfect over the last 18 years"
I quite enjoyed the thoughts in a write up of Brian's speech on the evolution of publishing. I like that this speech has evolved as his thinking evolved (so many speakers never change their speeches and they SHOULD). If this is something you ponder, and most of us teachers and definitely librarians, curriculum directors, and administrators are watching this closely, you'll want to read and think about this speech. While not easy to read in the bold black type, it is one of those worth taking the time. ""It’s time to think about content, not as a product or a service, but a vehicle to reach an outcome. Literacy is important as a step toward informing and empowering individuals, groups and communities, but on its own it is not enough. As reading experiences become both portable and increasingly universal, we need to reshape our sense of publishing and build "the library within us": a collection of tools and resources that individuals can draw upon to connect with and change the world around us."" His most telling words "A year ago, I was optimistic that publishers and supply-chain partners would soon see their mutual need for a data-driven reconsideration of why publishing exists and the purposes it can serve. I’m no longer optimistic. Another year spent wrangling over the role of libraries, another year spent kicking the can down the road with respect to the widespread and debilitating use of DRM, another year spent fostering the idea that we really have embraced “digital”: these things and more have convinced me that the “opportunity in abundance” will not accrue to the incumbents. This became all too clear to me last summer. In January, I had made the somewhat ambitious pledge to “post something useful every day”. By June, 180 or so posts in, the optimism well had run dry. I just didn’t believe my own story any more." “The intelligence that matters most exists in boundless variety at the ends of a network, rather than in the mediated systems in the middle”. A shift to networked publishing lowers barriers to the creation of content, but it amplifies the return for content providers who can leverage two-way communication and create, refine and evolve content products around the needs of the readers they serve. Some of those solutions will remain what we have come to know as books, but many more will be conceived, developed and delivered in forms and for purposes that we have yet to fully grasp. "THINK Global School in conjunction with the Flat Classroom Project® are excited to announce the formation of a Global Student Leadership Forum. After months of planning, the forum will be launched at the upcoming Global Education Conference, when students will meet online and exchange ideas and plans for future development. What are the aims? The aim of the Forum is to to encourage students (High School – Gr 9-12) to gather in a formal capacity to discuss issues and propose future directions for the world. It is also to provide a place for students to form an online community that will support and foster active discussion and interaction with a view to sharing resources, ideas and collaborate on actions globally. Virtual classroom and community networking tools and other resources will provide opportunities for students from all parts of the world to come together as a global forum virtually (and where possible in real time). The purpose of this is to: Foster leadership skills amongst young people Provide opportunities to interact online and therefore become adept at using virtual tools for interactions and co-creation Encourage global conversations about real world topics and global issues Encourage discussion about possible solutions to global issues and foster action projects" Julie and I are very excited about this project. This is an excellent opportunity for students who are leaders or who don't have the opportunity to do a lot of flattening but would benefit from interaction with others around the world. Join in! "But here we are going to learn how to embed the sample chapters of the ebooks available on the Amazon store." You can embed Kindle ebooks and sample chapters on your blog. This is a very cool way to do book reviews. Despite the fact that Texas lawmakers have "outlawed" Bloom's Taxonomy (not sure how you can outlaw a way of thinking, but ok) these researchers are studying what happens when students create. It is about time as we've been talking about the creativity crisis in the US for some time now. Creativity and creating should be part of what happens in every classroom but it can be messy and not so very discrete. Some kids can disengage (unless held accountable) and others (often those who test well) are totally lost when asked to make something original. So glad to see this happen - read the full post over at Mindshift to learn more. Stephen Downes asks an important question as someone found a big error in a course at Coursera. Whose job is it to correct errors? If this error stays put and there is no system for reporting it, I think it will be telling. Many can put content up, but who is going to interact and keep it updated? When teachers don't understand evaluations and are so upset they say they will "cheat" there are many problems with this. We put students on an honor code and even when the teacher is unreasonable and hard, those students are expected to be honest. Now, we have an unreasonable "test" for teachers and some say they will cheat. This "evaluation" needs to be evaluated. Many problems here. But one of the biggest problems I see is the harem scarem, unpredictable pendulum swing of evaluations and criteria used to evaluate a profession that has been around a very long time. As people work hard to weed out - it is working - more than half of teachers have been teaching less than 10 years as veterans say "enough!" You don't turn a big ship by crashing it into a reef but by slow, methodical turns of the wheel. I find teacher evaluations that many are using to be cumbersome, confusing, and inconsistent. I know of a top evaluated teacher in my area according to her hallmate, who plans her lessons twice a year and wow's the principal -- the rest of the time this teacher has a glorified study hall and does nothing. When I hear these stories of highly "evaluated" teachers, I'm convinced it is broken. My curriculum director and principal are in my room several times a month, looking at what we are doing and watching what is happening. That is a much better system, in my opinion and much more in keeping with what is happening in my classroom daily. Your Personal Decision 2012: Whose life is it anyway? Living for someone else is to abdicate the role you were born to play. You have decisions to make this day about YOUR life. Call this your own personal Decision 2012. We all have to take account of our lives. Good coaches review game film with their players, likewise, it is healthy to review the game film of our own lives to determine how things need to change or move on. Feelings are kind of like laundry - when you've got too much, the only way to sort it out is to dump it out. But, where you dump those feelings should be well selected. Some people use their blog or Facebook page or Twitter account as some sort of therapist. Social media has its uses but it is a God-awful therapist. Do you realize that it is inclined to agree with you, even when someone needs to look you in the eye and tell you to go down a different path? Sometimes I am WRONG and so are YOU. On social media it is way too easy to be "liked" all the way down a path to the incinerator. So, when you choose to dump your laundry of feelings out on that table and sort it out - I, personally, think face to face with a friend or someone who can help you is better than doling it out piecemeal upon your timeline or status update. Personally, I take great caution during these times when I sense I'm overtired, overstressed and overemotional. I take your eyes very seriously - some of you read what I write and that is a gift of your time. I want to be honest and transparent but also to be helpful. Not everything belongs out there, particularly because exhaustion causes your emotions to not line up with reality and dirty laundry is always pretty gross. I also know, however, that as I travel this life, the most helpful posts I write are from the fray. A captain who has weathered a storm has more credibility than a new recruit from the academy setting sail for the first time. As I live through my son's senior year and the mixed emotions is brings, these are things many of you identify with or will identify with very soon. Like a person approaching the end of the best milkshake she's ever tasted, the last sips are often savored and are the sweetest -- growing full, she still wants to enjoy those last drops. That's me. I sat yesterday at the state One Act Play competition and while the play tied for fourth at state, my son won one of the best actor awards at State. I was there for the whole thing. I didn't blog. I didn't tweet. I didn't even read my latest Mitch Rapp novel. I just watched plays and enjoyed the last sips at the bottom of this cup of my son's high school career. It is far too easy to worship others - that includes children. I will make no pretense of worshipping my own children at the expense of my health, but I am thankful for the time to savor these moments. There are a lot of technology things to share with you and those are coming, but today, I feel inclined just to encourage you to live your life well. Enjoy those students. Enjoy your family. Rest sometimes so you can functions. 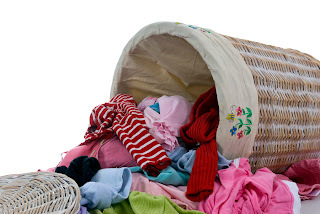 Take time to have an emotional laundry moment with your God or dear friend who is close enough to want that sort of load dumped on their table. This is a time of year with many mixed feelings and emotions and you'll want to take care of yourself so that you'll have something left to take care of those children in your care whether you are a parent or teacher. Take time today to make a list of the roles you were born to play. Replay in your mind how you are playing those roles right now and put things on your schedule NOW that need to happen - phone calls, visits, and time spent living this life you were born to live. Teaching is a noble calling but we have enough martyrs to the cause. Right now education doesn't need any more martyrs who quit because they are emotional wrecks, we need livers -- not chicken livers but live-ers -- people who can live as successful, healthy, happy functioning teachers who make a difference in this world.